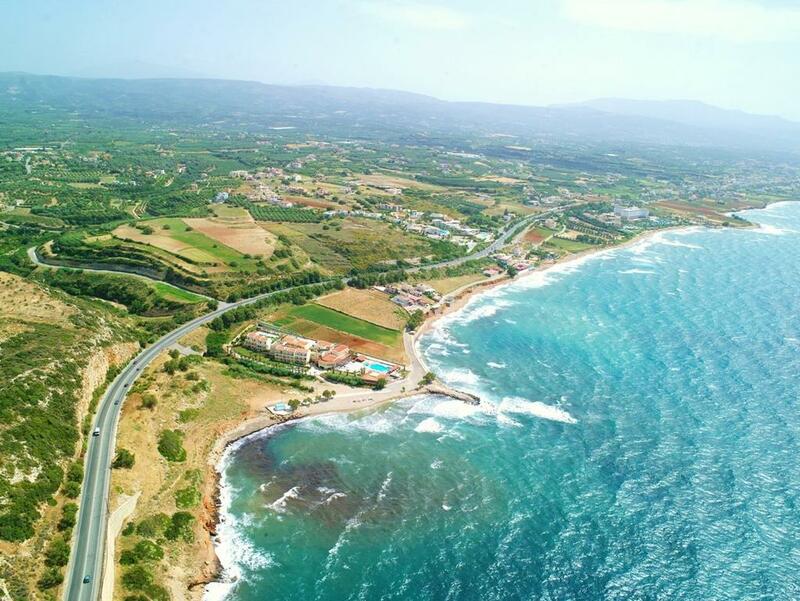 Skaleta is about 12 km east of Rethymno on Crete's north-central coast. More of a resort area than a proper village, the settlement has a number of hotels, some of them quite sizeable. If your goal is to get some sun, swim a bit, relax in the brilliant Cretan sunshine, and eat well, Skaleta is for you. If your desire is a taste of authentic Cretan village life there's not a great deal to see here. But that's not a problem as the bus runs regularly, with, for example, one leaving every half hour for Rethymno, which is a beautiful small city with a very nice harbor and its Egyptian lighthouse. With stops, you'll get there in a half hour. Busses are readily available for places a bit further away, such as Chania (72 km), Heraklion (65 km), and the Knossos archeological site just south of Heraklion. Because Skaleta is in the approximate center of the north coast, you can rent a car and be within a reasonable drive from almost everything Crete has to offer, should you not want to wait around for busses. But public transportation in Crete (as in mainland Greece), is very reliable, and quite cheap. If you fancy a boat excursion, a couple hotels have boats available for short tours along the shoreline. 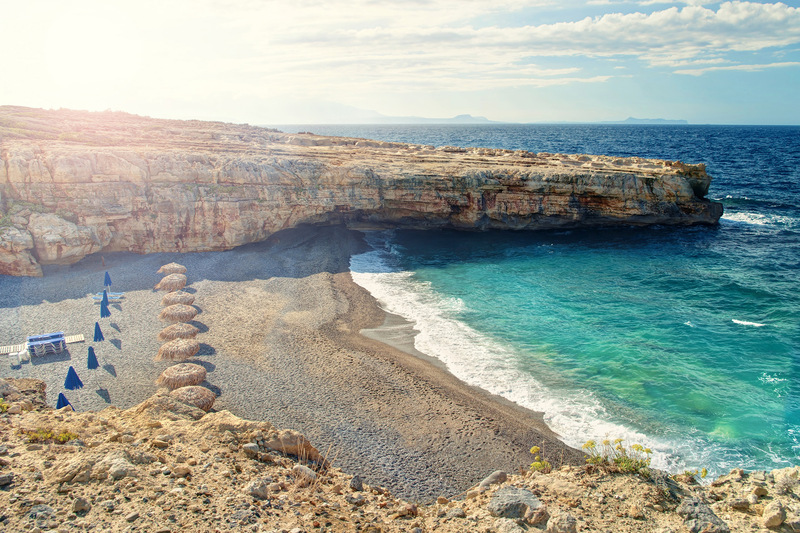 Skaleta Beach has with mixed sand and pebbles, and is long and wide enough for you to stake out your own little area and not feel too crowded by the other sunbathers. Sun beds and umbrellas are for rent, and various water sports are available as well. Skaleta is a quiet place, and not somewhere you would go expecting a lot of night life. For that, it would be better to take a bus to Rethymno, which has a couple dozen choices for entertainment venues.